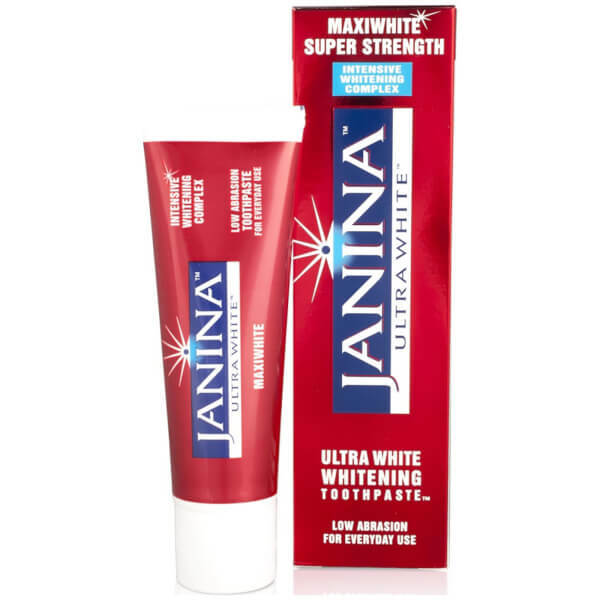 Experience fast results with Janina Maxiwhite Intensive Whitening Toothpaste; a low abrasion formula that visibly whitens teeth from the first use. Gentle enough for daily use, the toothpaste thoroughly cleans teeth with a combination of antibacterial agents, which protect against tartar and calculus, whilst preventing plaque development. The whitening toothpaste utilises a patented Bromaine Complex, which combines natural enzymes of Papaya and Pineapple to visibly whiten teeth without using harsh abrasives. 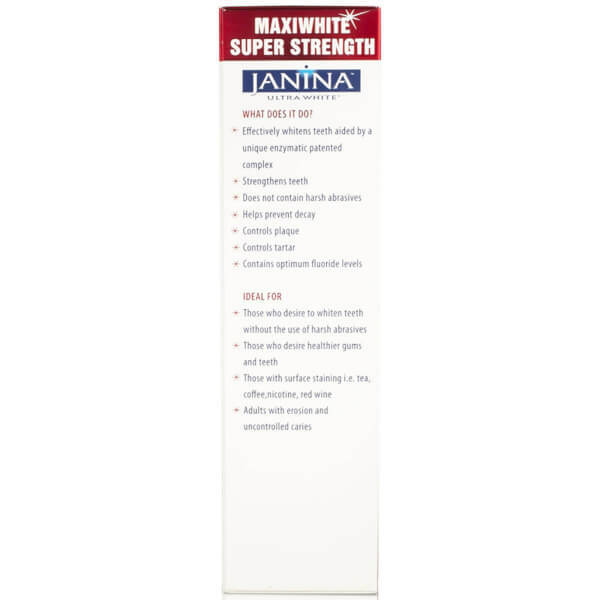 The addition of Hydroxyapatite intensifies brushing and accelerates whitening results. The toothpaste is the perfect profuct for those seeking a brighter smile, or those with surface staining from coffee, nicotine etc. The intensive formula guarantees to leave teeth and gums clean and healthy, as well as visibly whiter.